Mountainfeet started life as Paul Braithwaite Outdoor Sports in Oldham and for nearly forty years has offered specialist, friendly service and high quality gear and clothing to outdoor enthusiasts of all ages and levels of expertise. Over the last few years the shop has concentrated on footwear in particular and provides a fitting service second to none with a quality stock of walking, climbing and running shoes and boots. 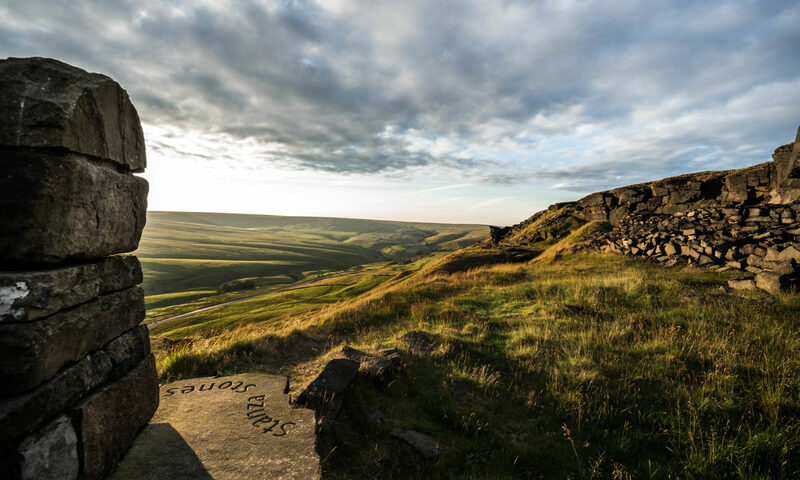 In 2012, Mountainfeet relocated to the picturesque Pennine village of Marsden where customers have the benefit of our free car park and the opportunity to enjoy Marsden’s other excellent shops, pubs, restaurants and countryside. 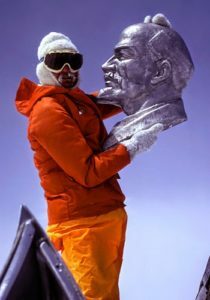 Paul Braithwaite Outdoor Sports was founded by Paul himself back in 1975 after his return from the successful Everest South West Face expedition where he was instrumental in solving the key to the climb along with his friend Nick Estcourt. After a period of several years Paul found himself spending more and more time running his roped access company, Vertical Access and eventually sold the shop in 1999 to climber and mountain biker Garry Smith who revitalised the shop and gave it back the direction it needed. He recruited a friend, Si Taylor in 2001 to help out on a temporary basis just before the catastrophic foot and mouth outbreak of 2002 put the shop back on the ropes again. To regenerate Garry’s good work and provide some much needed funding, Si bought into the business in 2002 and the two friends built Paul Braithwaites back up to robust health again assisted by two young and enthusiastic climbers, Marcus Buckley and Phil Sneyd. Garry’s decision in 2004 to return to his previous Health Service career together with the recession saw Si decide to change the name and the direction of the shop and ultimately relocate to Marsden. Today, Mountainfeet is owned and run by Si who has a professional background in skiing and mountaineering together with being a qualified foot health practitioner. Phil and Marcus remained highly valued members of the team until 2013 when they left to pursue respective careers in podiatry and radiography. Phil is now living in Canada and running a podiatry clinic, whilst Marcus is a radiography professional within the NHS – Si is very proud of the lads achievements. Charlotte Northin, a highly professional podiatrist, took up where Phil left off on the foot health side of things and she proved to be a very popular addition to the staff for nearly two years until leaving in September 2015 to run her own clinic. Her legacy remains the level of additional technical and medical knowledge passed on to Si which he now communicates to customers as required. As of October 2015, Mountainfeet effectively condensed to become a one man, highly specialised business with customers visiting from all over the UK. Within the shop, Si has experience in mountain biking, paragliding, skiing, ski-touring, sailing, diving, windsurfing and canoeing and so can deal with most enquiries! Si now also attempts to bring a modicum of experience as a (un-talented but knowledgeable) fell runner to the shop – he stocks a decent range of off road running shoes. Mountainfeet’s major speciality is in expert footwear fitting and Si is highly committed to educating customers on the benefits of knowing more about their feet and good fitting practice. To this end he feels Mountainfeet offers a much more comprehensive service than most other footwear shops – see our footwear fitting method page. The shop was also privileged to have had the company of Cap the Collie Dog in the shop for many years. His loss in August 2010 devastated all the staff and many customers and you’ll see loads of pictures of him in the shop and on the web site. 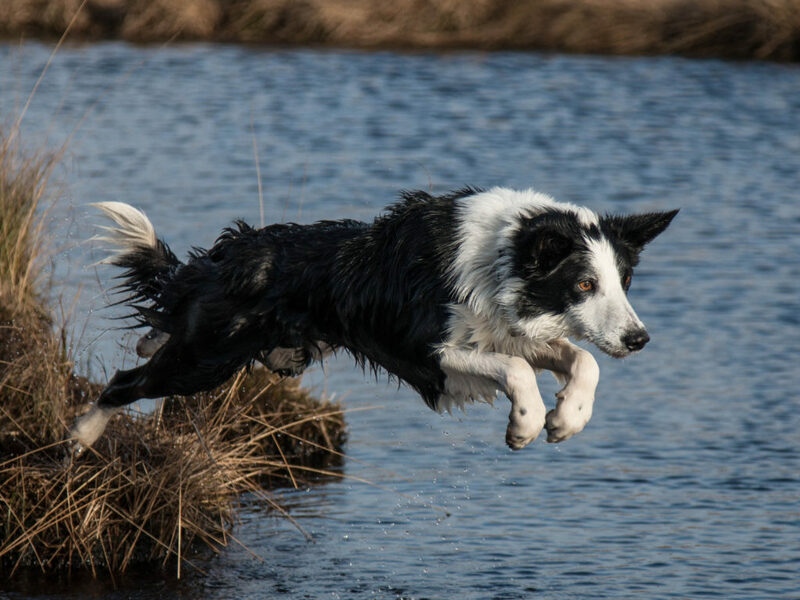 He was a real free spirit who was happiest on the hills, running beside Si and his mountain bike or keeping him company on walks all over the UK. Cap was a stunning character who added a certain “je ne sais quoi” to life at Mountainfeet and is sorely missed but very fondly remembered. To summarise, Mountainfeet is a chilled out specialist shop where the emphasis is on expertise and courteous service – two qualities that seem in very short supply these days. In order to preserve those values Si would say just one thing – use it or lose it…!